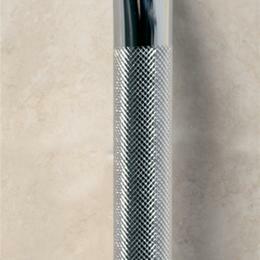 81000 Series Chrome Plated Wall Grab Bar: Adjustable Oval Flange Rotates To Best Position For Secure Mounting. 1" (2.5Cm) Diameter, 18 Gauge Chrome Plated Steel. Knurled Finish Provides A Sure Grasp Even When Wet. 12"-36" Comes In Attractive Retail Packaging. 18" (46).